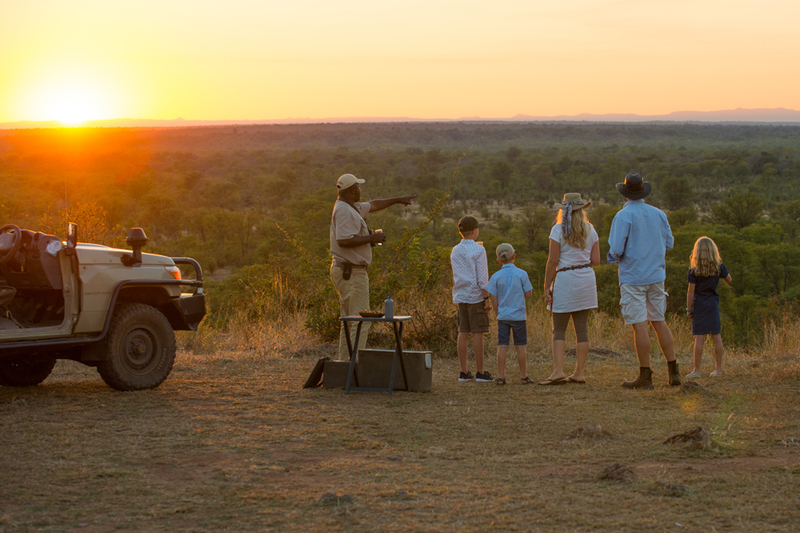 Looking for an active safari that suits the whole family? This safari offers the perfect mix – Livingstone, home to the spectacular Victoria Falls and that country’s premier park, South Luangwa; ending off at the pristine shores of Lake Malawi. 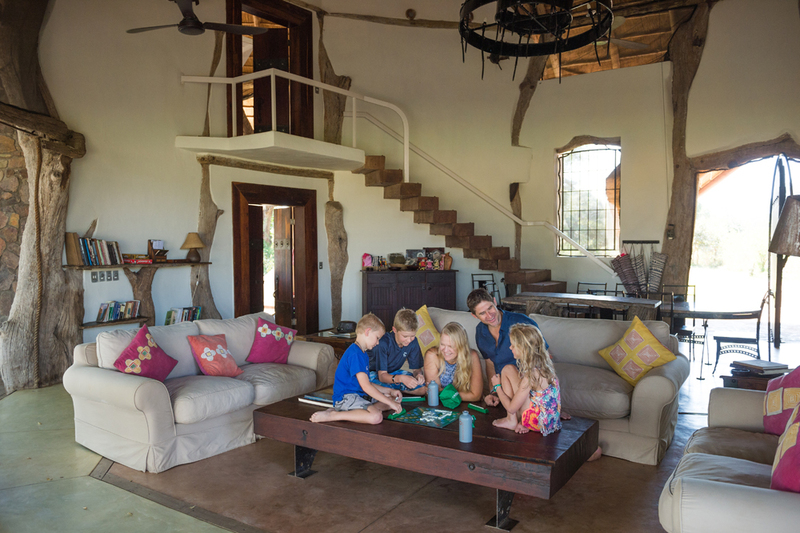 It offers loads of opportunity for much needed quality time for the family as well; with all properties having an option of exclusive family accommodation. Livingstone is home to one of the seven natural wonders of the world, The Victoria Falls, and offers many opportunities, both adrenaline filled and more sedate, to view this amazing site. There are gameviewing opportunities too, with a chance to see the white rhino in Mosi-Oa-Tunya National Park and river trips on the Zambezi River. Combining these three areas in Zambia gives you an exceptional safari. South Luangwa National Park marks the end of the Great Rift Valley, is one of the last unspoilt wilderness areas and possibly the finest wildlife sanctuary in Africa, through which the meandering Luangwa River runs. The ox bow lagoons, woodland and plains of the valley host huge concentrations of game – including elephant, buffalo, leopard, lion, giraffe, hippo – and over 450 species of birds. Pumulani on Nankumba Peninsula recognized as one of the most beautiful shores of the Lake and borders Lake Malawi National Park. This Park was established in order to protect the cichlid fish unique to the area. In 1984 the park was designated a World Heritage Site. Livingstone: Victoria Falls visit, Livingstone Island lunch/high tea, cultural tours, sunset cruises, walking with lions, elephant rides, canoeing, white water rafting, bungee jumping, micro-lighting – this list is continuously being increased, contact us at time of booking for more. 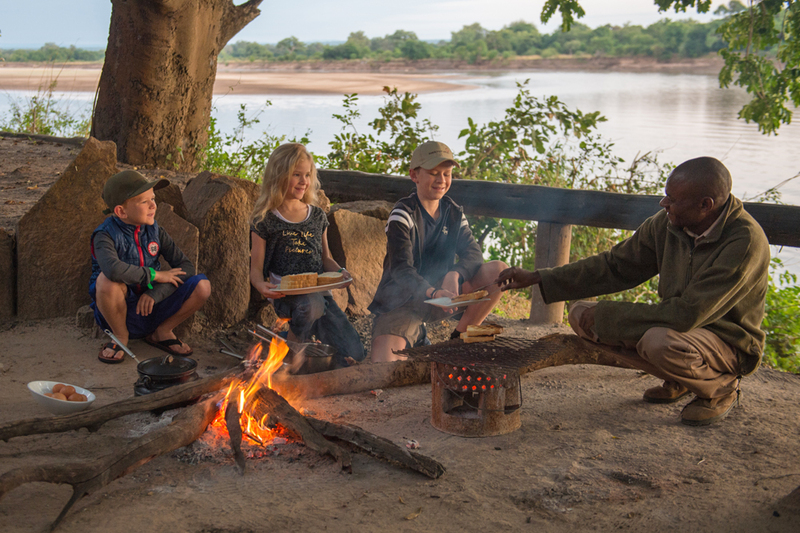 South Luangwa: walking, game drives (day and night), Kawaza Village Tour, Tribal Textiles tour (for souvenirs), Chipembele Wildlife Orphanage visit. Pumulani: birding, kayaking, boating, sailing, fishing, scuba diving, snorkeling, water-skiing, fun-tubing, sunset cruises, mountain biking plus village tour. Day 1 On arrival at Livingstone International Airport you will be met and transferred you to Stanley Safari Lodge. Stanley Safari Lodge is located on the hills overlooking the Zambezi River and Victoria Falls in a bush location. Accommodation is in 10 uniquely designed chalets that are constructed of teak and local stone and are open fronted or more colonial style brick and tiled rooms which are closed. Each with a private balcony ensuring spectacular views overlooking the Zambezi River and suites has plunge pools. Day 2 & 3 There is a wide range of activities on offer in the area that can be booked at the lodge these include trips to see the falls, town museums and markets and sunset cruises. For the more adventurous, Livingstone boasts a whole host of adrenaline filled activities including whitewater rafting, bungee jumping and micro lighting. Or you may just wish to rest in camp and enjoy the spectacular scenery and peaceful atmosphere. The day will end with a relaxed dinner. Day 4 Transfer to Livingstone Airport to connect with your onward flight to Mfuwe, South Luangwa. At Mfuwe International Airport where you will be met upon arrival. The drive to the Robin’s House is just under an hour through colourful local scenes of villages, agriculture as well as bush. Robin’s House lies on the banks of the Luangwa River with a stunning view across to the park and the escarpment. The house has two bedrooms, both with large bathrooms. The main area is both a sitting room and dining room. Most meals are taken outside under a huge ebony tree. During lunch animals and birds, including the hippo that live nearby in the river, will give a superb backdrop to the meal. The house has a private guide and host to look after every need. The daily routine is determined by the individual family, from when meals are served to what activities take place every day is totally flexible. 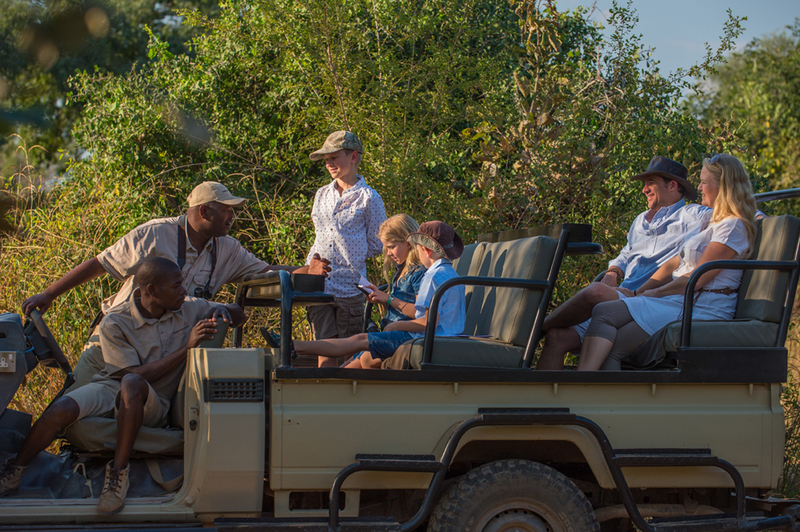 Depending on your arrival time in the day you will enjoy a lunch or if in the afternoon for tea and there is the option of an afternoon and night game drive. Day 5 & 6 During your stay at the house the rhythm of your day is your choice. This is the joy of staying at a private house. The usual day will start with breakfast at just after dawn. The morning walk or drive will leave soon after, entering the park by boat from the camp or by the nearby pontoon. The game in the area is excellent – and includes many family herds of elephants and the endemic species of giraffe, the Thornicroft Giraffe. 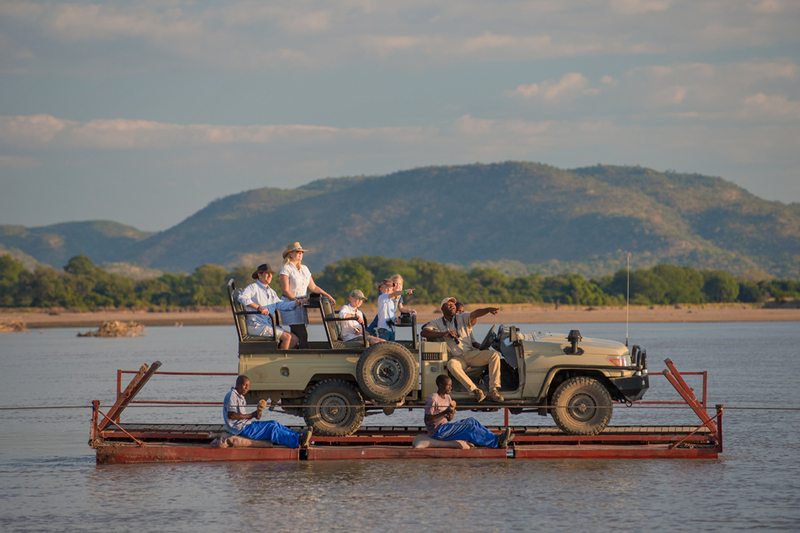 A mid-morning break of tea, coffee and cake will be taken by a scenic point on a lagoon or the Luangwa River. Return to the house for lunch around mid-day. After lunch you can cool off in the swimming pool or siesta. Tea will be served in the afternoon and then off on an afternoon game drive that continues into the early night giving the chance to see the nocturnal world. We always recommend a visit to the community, by going to the Kawaza Village and School. This is a day that is especially loved by children of all ages. You are able to join in at the school, meet children, play games, learn about their lives. The visit to the village gives further insight in the local life. Day 7 After an early breakfast, transfer to Mfuwe Airport for your flight to Lilongwe. The flight time to Lilongwe is approximately 50 minutes. On arrival at Lilongwe’s Kamuzu Airport, you will be met by our staff, who will assist with immigration procedures before transferring by road to Pumulani. Pumulani is situated on the Westside of the Nankumba Peninsula in the South end of Lake Malawi – romantically called “The Lake of Stars”. The ten villas are scattered around the hillside and are individual in shape and style but all have a spacious bedroom, bathroom and extensive sitting area. The front sliding doors open onto the deck – elevated above the ground giving optimal views. The central dinning and bar area is high above the lake with the most spectacular views and leads onto an expansive deck. The infinity swimming pool is on a lower terraced deck. The lake shore bar offers light snacks as well as refreshments. Meals will be served in the dining area, on the beach or by arrangement on your private deck. Day 8 & 9 Our remote beach setting is ideal for those who simply want to soak up the sun and swim in the clear blue waters of the lake. Those who prefer to take a dive in the swimming pool, we have a infinity swimming pool near the central dining area with grand views over the lake.For those seeking activity we offer many watersports activities like snorkelling, fishing, sailing, kayaking, waterskiing, wake boarding and fun tube rides (all motorized activities are excluded). 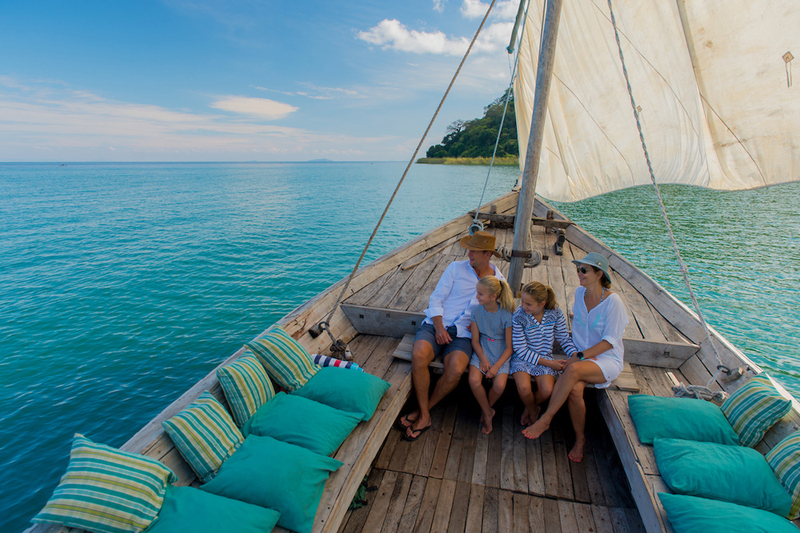 At the end of the day climb aboard our dhow and let our experienced local crewmen take you sailing into the sunset. Lake Malawi is the world’s most ecologically diverse lake. Its crystal-clear waters are home to more than a thousand species of fish, including hundreds of species of colourful cichlids. We offer special diving courses at the best diving spots near one of the islands. For those who are interested in the real Malawian village life we offer guided walks through one of the local villages. Malawians are renowned for being amongst the friendliest people in Africa and during your stay you will have the opportunity to meet them. Day 10 Your last day at the lodge. Today you have the opportunity to continue to relax in the beautiful surroundings or play on the lake or take a bike tour through the villages. Prices – from £2,855 per person in 2019 for family of 2 adults and 2 children. Includes – Transfers starting Livingstone, Zambia and ending Lilongwe, Malawi; accommodation, full board, all local drinks, laundry, all safari activities in South Luangwa, non-motorised activities at Pumulani and for Stanley – Falls Tours plus historical and cultural tours. Excludes – Motorized watersports at Pumulani, activities not mentioned at Stanley Safari Lodge, gratuities, visa fees where applicable + international flights. These are just suggestions based on what has worked well for previous guests, you may wish to do something different. In which case you could use our suggestions as a starting point and then make your alterations, or we could simply start with a clean slate. It is entirely up to you. If you’d like to discuss ideas for your safari in Africa we’d love you to get in touch; either by email or by telephone.